Starway 2 Heaven celebrates rock ‘n roll style. A constellation of stars across the eyes recalls the heady days of 70’s stadium rock. Created with festival-goers in minds, Starway 2 Heaven celebrates rock ‘n roll style. 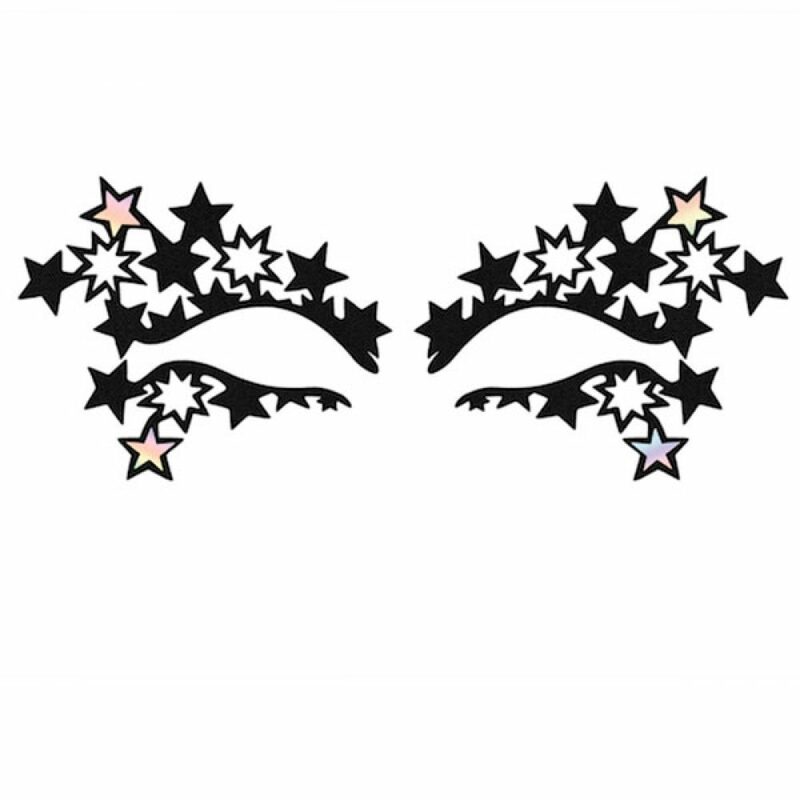 A constellation of mixed stars across the eyes glamorously celebrates the heady days of 70’s stadium rock. The overlaid holographic details add a bit of “Lucy in the Sky with Diamonds”.